The Big Machine Vodka 400 at the Brickyard Powered by Florida Georgia Line will move to Fourth of July weekend starting in 2020, creating a new marquee summer event in Indianapolis and on the national sporting calendar. The 27th annual NASCAR event weekend at the Indianapolis Motor Speedway will take place July 3-5, 2020 on the 2.5-mile oval, with the Big Machine Vodka 400 at the Brickyard Monster Energy NASCAR Cup Series race taking place Sunday, July 5. NASCAR officials announced the new date Tuesday, March 26 as part of the revamped 2020 schedule for its Cup Series. While this is a new date for IMS, the Brickyard weekend took place in late July or early August for its first 24 years, moving to early September in 2018. “There’s no better venue to throw a massive party for our nation’s birthday than the Racing Capital of the World,” IMS President J. Douglas Boles said. “Fourth of July weekend is a celebration of patriotism and getting outside in the summer with family and friends, and a Big Machine concert and NASCAR racing at the Speedway combine those two traditions, making for a special Independence Weekend celebration! A strong, generation-spanning connection between IMS and honoring America will be enhanced through this new event date. Starting in 2020, IMS will host major event weekends on two holidays that celebrate American values, patriotism and sacrifice – the Indianapolis 500 presented by Gainbridge on Memorial Day weekend and the Big Machine Vodka 400 at the Brickyard Powered by Florida Georgia Line on Independence Day weekend. 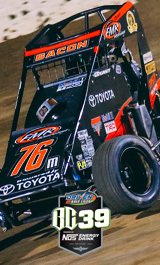 Along with FGL Fest, the Driven2SaveLives BC39 powered by NOS Energy Drink United States Auto Club (USAC) National Midget Championship event also will move to the new NASCAR event week in July 2020. The Speedway will also look to add special events and activations to the weekend schedule as part of its embrace of the holiday weekend. The 26th annual Big Machine Vodka 400 at the Brickyard Powered by Florida Georgia Line event weekend is scheduled for Sept. 6-8, 2019 at IMS. Visit IMS.com to buy tickets or for more information. Brickyard Tickets Media & News! Get the Gear! Download IMS Mobile. The official app of the Indianapolis Motor Speedway.